MUMBAI: Singer Shilpa Rao, who has sung a single Saanwariya for Drishyam Play an initiative to curate and promote fresh music from different parts of the country feels the layman associates Bollywood songs with Indian music. She says that's a myth that needs to be broken. "As a country that has a major entertainment industry, one of the biggest in the world, our major Bollywood influence comes from every part of India. So when people say Indian music, I always feel it is our Carnatic music, classical music and our folk music. But on a very layman level, Indian music is associated with Bollywood, which is the myth which we need to break," Shilpa told IANS in a recorded response. "Our film music is always inspired by all kinds of folk music - be it Rajasthani, Bihu, Bengali or South Indian... Our Indian films have always represented different forms of folk music from all over India," added the singer, who has sung numbers like "Khuda jaane", "Anjaana anjaani" and "Malang" in Bollywood. Shilpa believes Indian music is "really strong" and there should be a collective effort to pass it on to the next generation so that it remains alive. Her Saanwariya, to be launched via Drishyam Play on Sunday, is composed by Naresh Kamath, member of Kailasa and also the funk/jazz/rock band Hypnotribe. The song talks about romance in one rainy night, and Shilpa found it "simple and beautiful". As a platform, Drishyam Play is an attempt to break away from stereotypical Bollywood music and bridge the gap between professional musicians, lyricists, vocalists and meaningful cinema. The platform and Drishyam Films are working together under same umbrella and the USP is 'songs will find their stories' the songs are plugged in movies wherever suitable. "Sure! We are making our bank of some amazing songs and we are open for other movies/banners to license or buy them from us. We ourselves became the first buyer when we used its earthy song 'Main banjar' in our own movie 'Kadvi Hawa'. 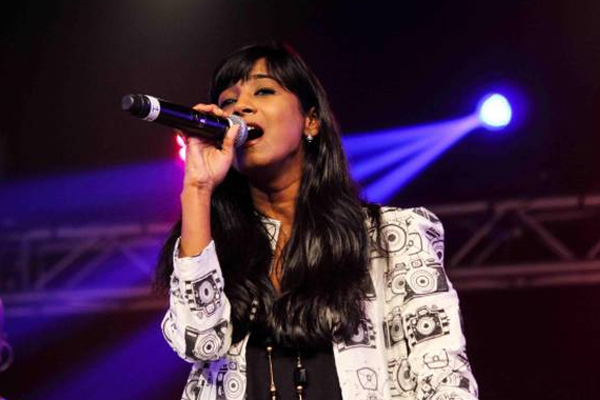 MUMBAI : Shilpa Rao has been the "voice" of many actresses like Kajol and Aishwarya Rai Bachchan. Although she feels great to have those opportunities, what she really earns for is to sing a song picturised on versatile actress Tabu. Mumbai: Known as the most beautiful face in the world, Aishwarya Rai Bachchan has not only endorsed many products,but also has been a face of many characters and has lip synced to some of the most amazing songs. On her 45th birthday, let’s have a look at some of her biggest hits.